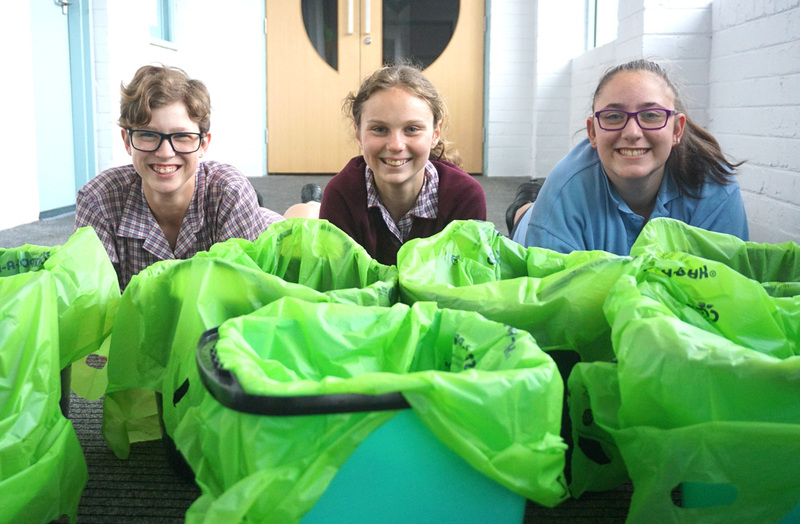 Inspired by popular ABC documentary ‘War on Waste’, Year 9 Discovery students Zoe Oats, Kaitlyn Broady and Jessica Simmons have been busy tackling Galen’s waste issues in Year 9 homerooms. Having recently delivered several talks at local primary schools, the trio who’ve aptly named themselves ‘The Waste Police’ are passionate about spreading the word to make a difference in the community and encourage people to question what they throw away and how they dispose of their waste. The girls commented that while there will always be some people who don’t seem to care, many students have supported their cause and have been more conscious of their waste, making efforts to minimize soft plastics, and ensuring that food scraps are not mixed with recyclable materials. The group already have plans to expand their project in 2019. Green bins will be introduced in all classrooms and interviews will be conducted early in the year to get other students on-board from all year levels, to be members of the project. It is hoped that this will create a greater groundswell of support, awareness and momentum across the College. Congratulations to Jess, Kaitlyn and and Zoe on their initiative, and all the best for 2019!